Edward Hulton the son of the wealthy newspaper propietor, Edward Hulton, was born in Harrogate, Yorkshire, in 1906. After being educated at Harrow and Brasenose College, Oxford, he became a lawyer. In November 1936 he inherited £6 million from his father's estate. He used the money to establish the Farmer's Weekly and Nursing Mirror. In 1938 Hulton purchased Lilliput for £20,000 from its founder, Stefan Lorant. 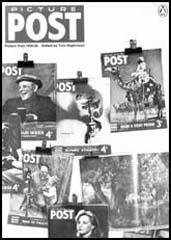 Later that year Hulton agreed to a suggestion by Lorant and Tom Hopkinson to publish Picture Post, a magazine that pioneered photojournalism. The magazine was an immediate success and after four months was selling 1,350,000 copies a week. When Stefan Lorant emigrated to the United States in 1940 Tom Hopkinson took over as editor. 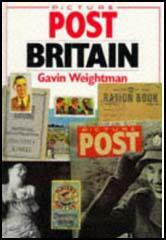 Hopkinson recruited a team of talented writers and photographers including Tom Winteringham, Macdonald Hastings, Maurice Edelman, Walter Greenwood, Lionel Birch, A. L. Lloyd, Anne Scott-James, James Cameron, Robert Kee, Sydney Jacobson, Ted Castle, Bert Hardy and Kurt Hutton. Hopkinson used the Picture Post to campaign against the persecution of Jews in Nazi Germany. In the journal published on 26th November 1938, he ran a picture story entitled Back to the Middle Ages. Photographs of Adolf Hitler, Joseph Goebbels, Herman Goeringand Julius Steicher were contrasted with the faces of those scientists, writers and actors they were persecuting. Tom Hopkinson was often in conflict with Hulton, who supported the Conservative Party, and objected to Hopkinson's socialist views. In August 1945 Hulton wrote to Hopkinson telling him that "I cannot permit editors of my newspapers to become organs of Communist propaganda. Still less to make the great newspaper which I built up a laughing-stock." In 1950 Hopkinson sent James Cameron and Bert Hardy to report on the Korean War. While in Korea the two men produced three illustrated stories for Picture Post. This included the landing of General Douglas MacArthur and his troops at Inchon. Cameron also wrote a piece about the way that the South Koreans were treating their political prisoners. Hulton considered the article to be "communist propaganda" and Hopkinson was forced to resign. Edward Hulton died in 1988. (6) Tom Hopkinson lost his job as editor of Picture Post after publishing a story on the treatment of political prisoners during the Korean War. Mr Edward Hulton states with the deepest regret that, following a dispute about the handling of material about the Korean war, he has instructed Mr Tom Hopkinson to relinquish the position of editor of Picture Post. There is no personal hostility between Mr Hulton and Mr Hopkinson. Mr Ted Castle, associate editor of Picture Post and for six years the assistant editor of the paper, is the new editor.